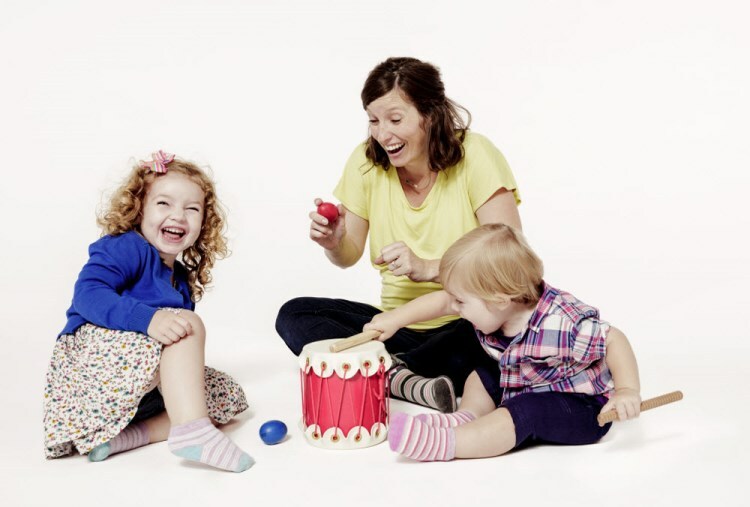 Each week in Music Together® Mixed-Age Classes at Music Together with Sarah, babies, toddlers, preschoolers, and the grownups who love them gather for 45 minutes of fun-filled family music time. Your teacher will lead you and the other families in music activities ranging from lullabies to full-on jam sessions (with child-friendly instruments, of course). It’s so much fun you won’t realize just how much learning is taking place! Children learn through play. And playing with music is our JAM! You’ll take home physical and digital access to recordings of the award-winning music used in class, along with an illustrated songbook and other resources. As you discover new ways to play with music all week long, you’ll be supporting your child’s music-learning and overall development---even if you don’t think of yourself as a great singer or dancer. Child development researchers discovered that grouping children of different ages in one class creates an environment of family-style learning where young children thrive. With this knowledge, Music Together pioneered the idea of a mixed-age music class for families almost 30 years ago. The model is still cutting-edge, as families discover how much richer the experience is than in a class that is segregated by age. In a mixed-age class, everyone is supported to participate at their own levels: babies vocalize, wiggle listen, and observe; toddlers actively play and experiment; and preschoolers build confidence as they emerge into classroom leaders. 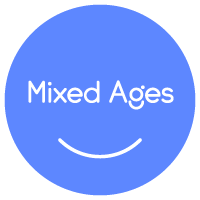 This mix of ages, stages and learning styles makes for a rich and supportive learning environment for everyone, including the grownups! You are welcome to join us for a free trial class at any time. Please use our online Try a Free Class or Contact Us and we can help you arrange your visit. Copyright © 2019 Music Together with Sarah. All rights reserved.